An amazing value! 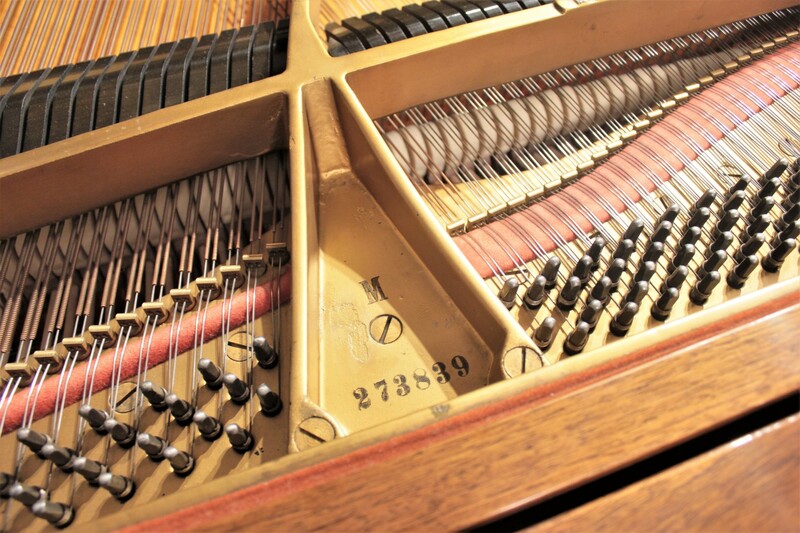 Fantastic playing condition, previously owned by a piano technician. New action parts. 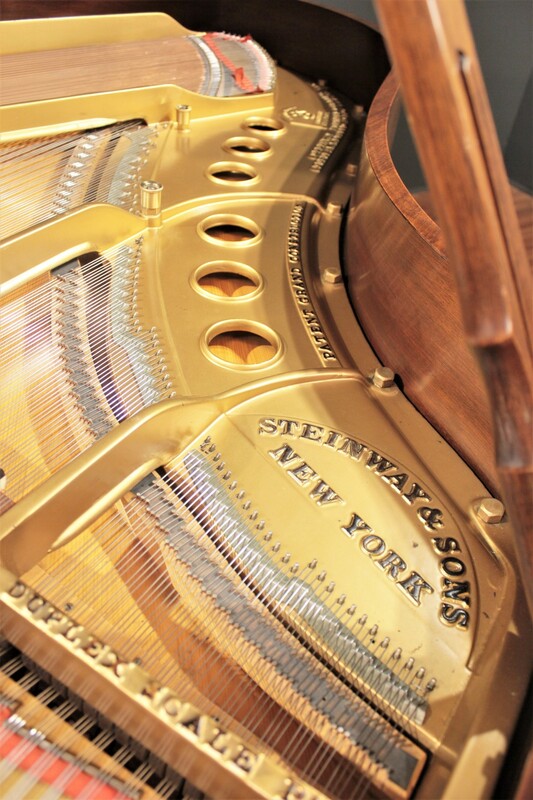 A handsome and musically-satisfying Steinway. 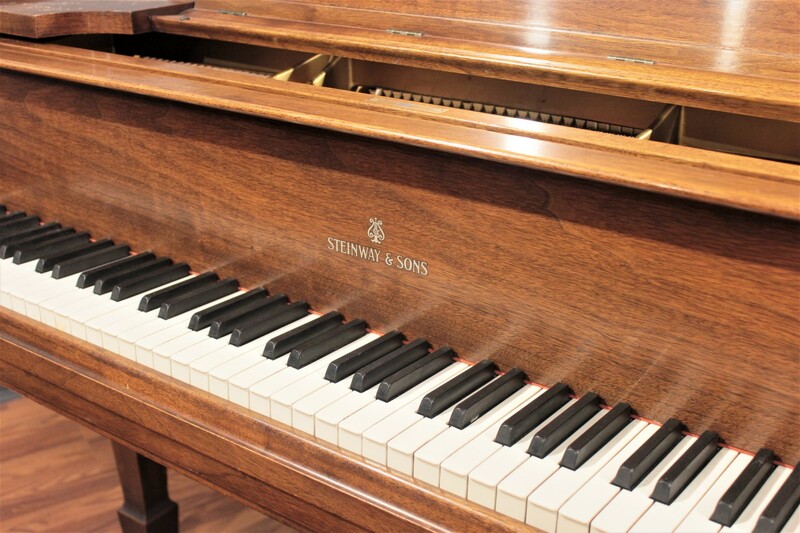 This Steinway Model M 5'7'' grand piano was originally crafted in 1933 in New York. 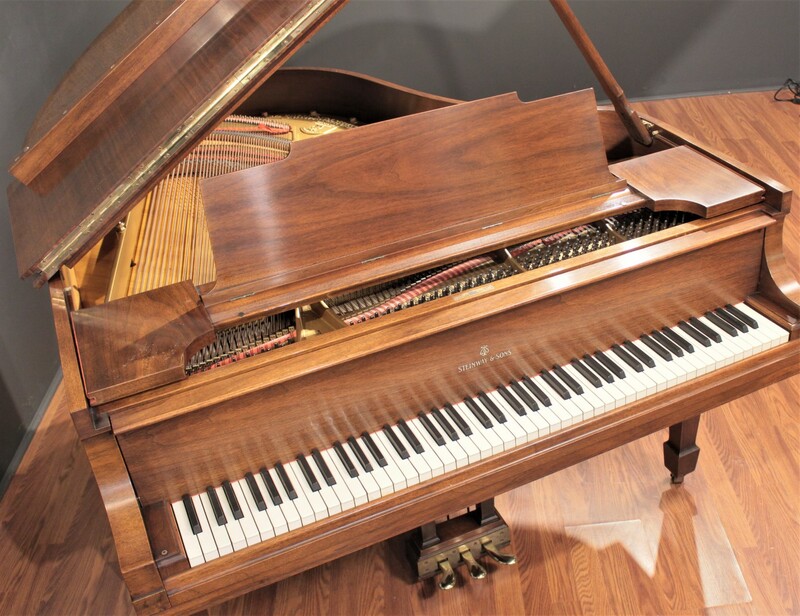 It was previously owned by a piano technician who purchased it from a customer and kept it as his personal instrument for some time. 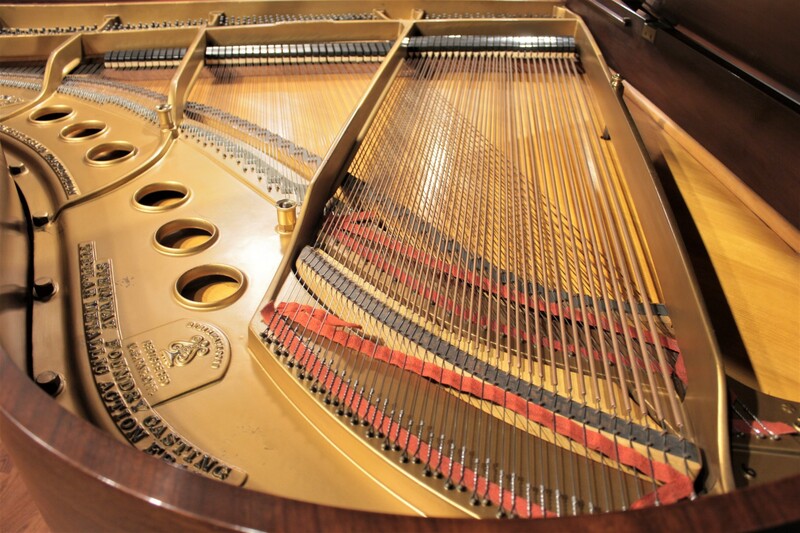 He kept it in extraordinarily well maintained, and the result is an instrument that retains its original Steinway core structural elements while being in beautiful playing condition. It is truly an enjoyable specimen both musically and cosmetically, featuring a walnut cabinet that appears to have been recently French-polished and is in very good condition for its age. Just serviced - Plays wonderfully! 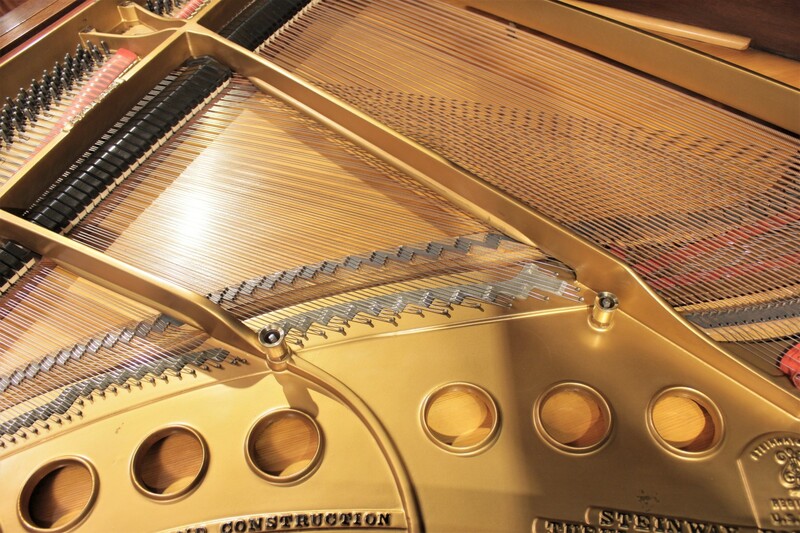 Genuine Abel™ action parts, made in Germany, are employed by many of the world's finest piano makers, including Steinway's Hamburg factory. 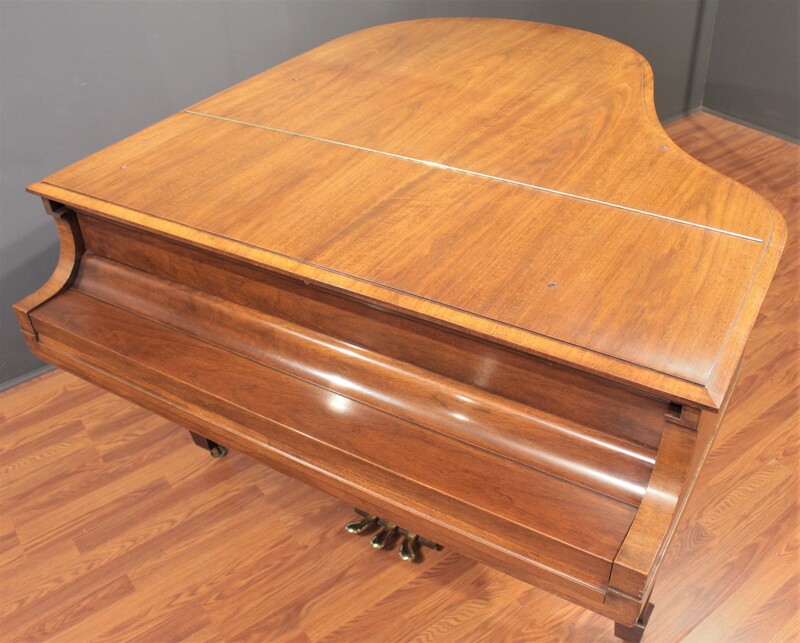 The original, genuine Steinway soundboard and pinblock on this instrument are intact and in excellent musical condition. 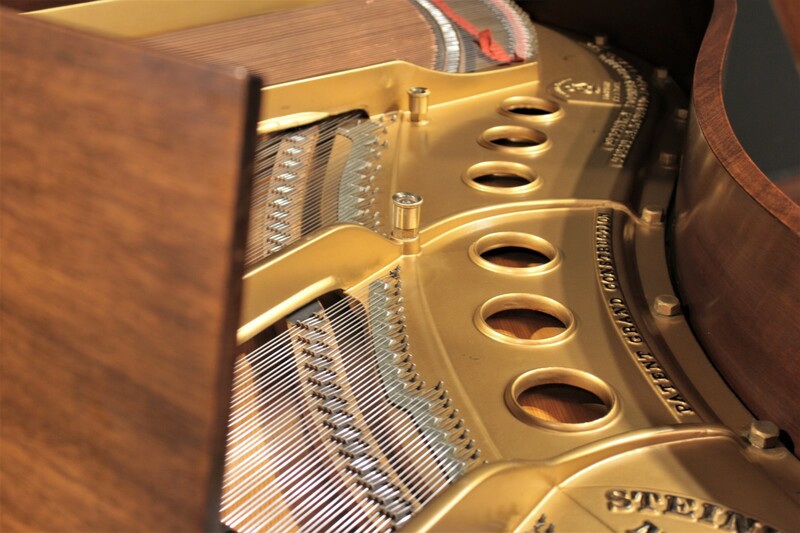 The soundboard exhibits good crown with no visible cracks, and the pinblock is tight with very good tuning stability. In order to ensure a quality playing experience for many years to come, we've just thoroughly serviced the action of this instrument. 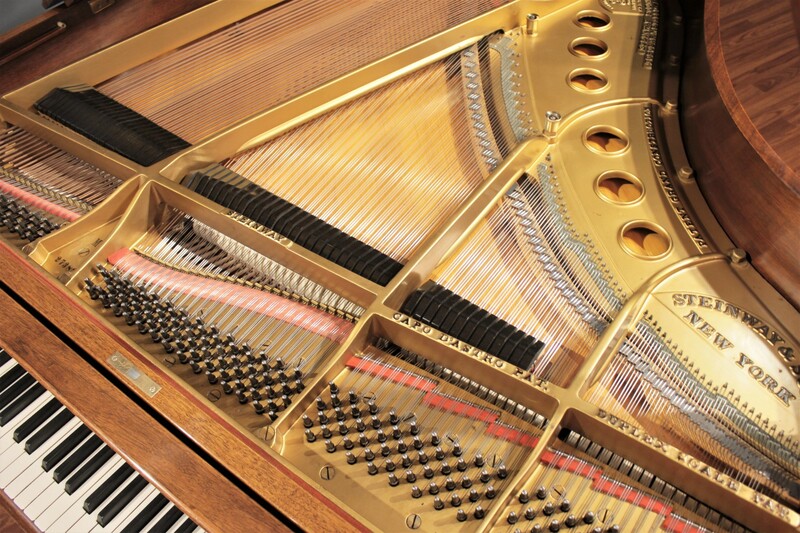 Our work included new top-quality Abel Natural Felt hammers as well as new Abel shanks and flanges, custom-sized and hung to meet the exact original Steinway specifications for this instrument, installed and voiced by a local independent Registered Piano Technician and Steinway specialist. As a result, this instrument has a remarkably smooth and consistent tone throughout with a great mixture of depth, richness, and power. 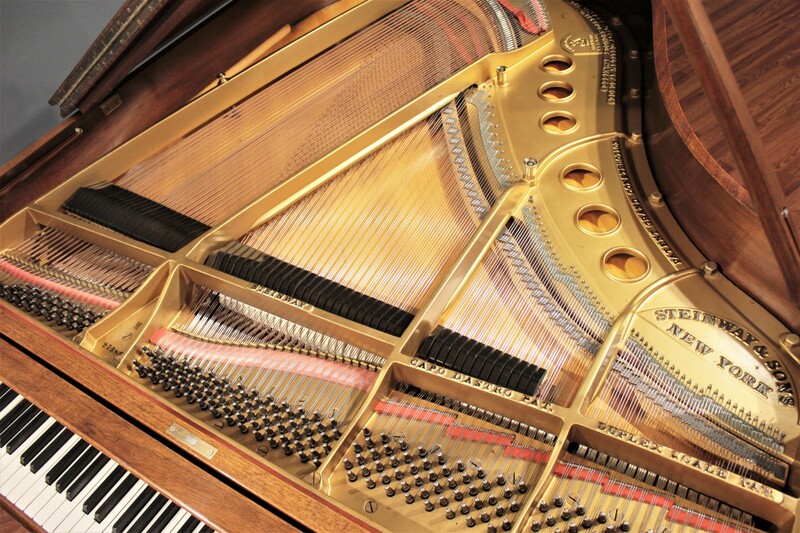 The piano's touch is even with great control and precision. 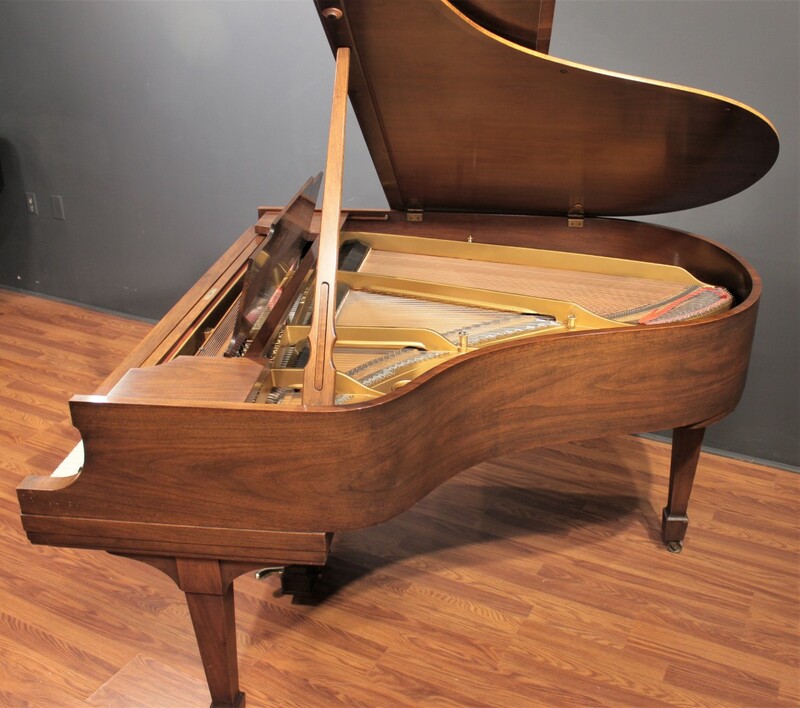 With comparable new Steinways priced over $93,000, you'll appreciate the tremendous value of this quality preowned specimen.